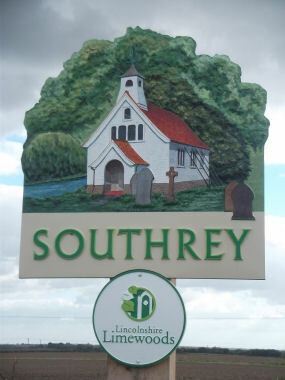 Welcome to Southrey, deep in the heart of Lincolnshire. United Kingdom. Southrey Village is situated at the end of a mile-long lane off the B1191 (Lincoln to Horncastle) in central Lincolnshire. The lane is a no-through road as the village lies beside the River Witham with this one lane as access and egress.